Why "new", "unfired" brass for best long line accuracy? Is there really that much of a benefit of using "new" or "unfired" brass for 50 yard/long line pistol/revolver bullseye shooting? I keep reading various threads that a shooter will only shoot new brass for 50 yard pistol shooting. I don't understand it. So many posts state using "mixed headstamp" brass doesn't make any difference in accuracy (especially for 25 yard shooting). Then, you read that only new brass will be used at 50 yards for slow fire. You'd think that using the same headstamp would improve accuracy. Or, expressed the opposite, mixed headstamped brass would worsen accuracy, due to variation of brass thickness, bullet tightness in brass, flash hole diameter etc. I know the response coming back to me will be "test it yourself and let us know." I was wondering if anyone has gone through this "experiment." Look at benchrest rifle shooters. They use several times over, shot/necksized brass for a match. They DON'T use "new" brass for a match. Of course, they have minimal tolerance/tight chambers and necks, and their brass is neck-turned so the outside of the neck just fits the chamber neck, and the inside of the neck holds the bullet. So with that, wouldn't the use of "same headstamp" pistol brass, that has been properly sized, trimmed and has the flash hole uniformed (internal burr removed) provide MORE accuracy potential than "new" brass? Not trying to go against the grain, just asking a logical question. All errors are additive when considering shot-to-shot consistency. 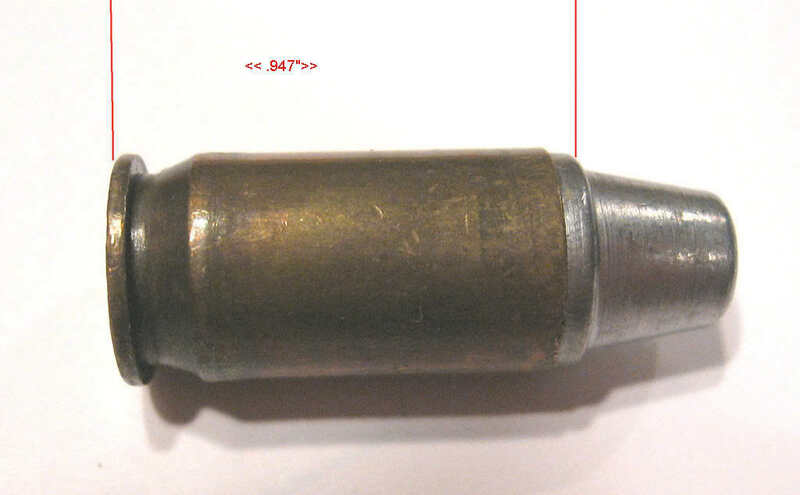 Why wouldn't "match prepped", same headstamp brass be as accurate-if not more accurate than unprocessed ("not match prepped", ie for flash hole uniformity, or resizing, or trimming)? The crimp applied to a "match prepped" case would be more uniform. Has anyone tested this, or is it a case that if something is repeated enough times, it becomes "gospel?" OK THIS IS JUST MY EXPERIENCE. RELOADED BRASS IS FINE FOR 50YD ACCURACY WITH LEAD BULLETS. I DO SORT BY HEADSTAMP FOR 50YDS. BUT I DO USE MULTIPLE FIRED BRASS WITH NO ILL AFFECTS ON ACCURACY. JACKETED BULLETS ARE ANOTHER STORY. I DO USE NEW BRASS FOR 50YD MATCH ACCURACY. YES I HAVE PERSONALLY FOUND IT TO MAKE A DIFFERENCE. IN BOTH 9MM AND .45ACP. IT WAS A MARKED DIFFERENCE. 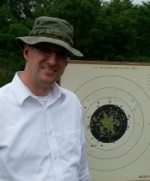 9MM AT 50 YDS NEW BRASS HAD HALF THE GROUP SIZE OF RELOADED BRASS. IN 45 THE DIFFERENCE WAS SMALLER , BUT STILL EASY TO SEE. THE DIFFERENCE IN 45 WAS THAT THE NEW BRASS GROUPED ABOUT 25% SMALLER. Re: Why "new", "unfired" brass for best long line accuracy? It does make a difference. I shoot mid 90s slow fires and the points I drop at the long line are NEVER due to the mixed headstamp brass I'm shooting--it's me. When I start shooting 96+ every time, then I will start worrying about if my ammo is a factor. My stock springfield barrel and bushing shoots 2.5" groups with the cheapest lead 200gr bullets I can find loaded into the most reused range brass you've ever seen. Perhaps using 185gr JHP Noslers in new Starline brass can tighten my groups, but it will never convert that 7 I shot to a 9 or a 10. I am really curious about this as well. What do you atribute the accuracy change to? Neck tension? subsonic wrote: I am really curious about this as well. What do you atribute the accuracy change to? Neck tension? There's a lot to this.. 50 yards is a completely different animal from short line..I am an advocate of near zero head space for long line ammo. The gun fit, chamber dimensions, throat, leade angles, magazines, headspace, all play a part.. A barrel tester can show marked differences in ammo, more readily by eliminating the gun. Al Bacon and I once conducted an experiment, with 460 Roland brass. A fixture to machine the brass to a consistent length of zero head space was fabricated. The improvements out of the barrel tester, and a gun of known group size showed a distinct improvement. 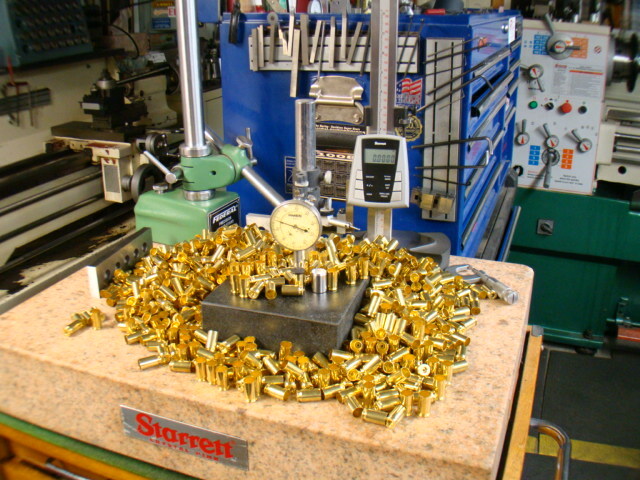 It is not practical to machine all your long brass, but Starline is the longest of all manufacturers. This will give a barrel chambered to near zero head space an advantage. A super accurate 45 is a product of many small enhancements.. Just one may show some small difference, but an aggregate of many is the answer. The barrels are the last frontier in my opinion. There has been almost zero change in barrel design for the last 100 years. A faster twist, with a different land to groove ratio is a good start. I have machined and tested a few such barrels. There is something to be said for this..
Me and the semiautos I shoot are not quite good enough to report *personal* experience. Decades ago, the NRA tested the mixed headstamp thing with a super-accurate .44 Magnum (good experiment, used a known test bed). Both light and heavy loads were noticeably tighter when ANY headstamp was the only stuff being fired. This was with 5, 5-round groups at 25 yards, fired indoors. Fast forward to only 25-30 years ago IIRC, and the USAMU published their Super Secret Squirrel .45 load using Nosler HPs (185 again IIRC) and some Vihtavouri powder which I have NEVER paid any attention to. Towards the end of the Shooting Sports USA article on it, the team coach noted that for reasons unknown, all of their guns showed a decrease in accuracy after either 4 or 5 reloads. The team was specifically using this load for its 50-yard accuracy in their wadguns. So, wanting to stand on the shoulders of giants, my informed opinion is that the same headstamp, reloaded up to 4 times (5th firing if starting as factory ammo), *should* be just fine for the long line. Until someone shows me test results showing something different. In .38 Special, my own 2.2-inch gun and load at 50 yards has always been with brass reloaded unknown times, but always sorted by headstamp. Jerry, a faster twist barrel? You have my attention again. I thought a slower twist barrel was the way to go. kc.crawford.7 wrote: Jerry, a faster twist barrel? You have my attention again. I thought a slower twist barrel was the way to go. During my 1980s PPC days...1 X 10 twist in 38 revolvers was king...for a while.. Then a few cracked forcing cones began to appear, and a few barrel makers decided 1 X 14 to be the holy grail..much better than 1 X 18 and the 10 and 12 twists had to be special ordered at a much higher cost..I personally settled on 1 X 12 twist. But 1 X 10 or 12 twist is actually the better choice. The 9mm craze in PPC brought out the 1 X 32 twist...which shot light weight projectiles rather well, but would not handle the 147 gr. Even in the light weight bullets, the load, bullet speed had to be up there..The 1 X 16 9mm would easily go under an inch at 50 yards, with slow low pressure 147grain bullets..and the 9mm CF craze hasn't really produced any meaningful benefits..in my opinion.. I see little benefit to the slow twist 9mms..after all, the BC of a 9mm is so very close to the .38..Hmmmm.. In 2001 the 2 man police team I wrenched for set a National record at the Jackson Nationals that held for 10 years shooting 16 twist barrels and 147 gr. bullets.. Those two shooters in their eagerness to do better, asked for 1 X 32 twist barrels, because the "crowd" was shooting them.. After about two months, I get the request to reinstall the 1 X 16s... A 1 X 18 twist 38 revolver will never group as tightly as a 1 X 14.. One reason the Colt Python was king in the distinguished classes for so long.. It shot the 158 gr bullets better than the 1 X 18.. The land to groove ratio is a factor in accuracy as is twist..The large wide standard lands disrupt and distort the the surface of the projectile more than necessary.. The scientific gurus claim, it is better to err on the side of fast twist.. It's difficult to over stabilize..The Douglas barrels at 1 X 14 twist I have machined for 45s all tested well under an inch from the barrel tester. 9/16ths was the average.. I never got anything near that out of a standard configuration 1911 barrel regardless the maker. I have a blank for 1 X 12 I am anxious to try...as soon as I find some time..
Jerry, once again I thank you for the wealth of information you share so willingly. And your results are noted and will be on paper this evening. New brass & this "near zero head space" . Long brass shoots better. Another way to reduce end play in the chamber with lead bullets, is seating into the rifling (if possible) for slow fire @ 50 yds. COL is critical for feeding. So i measure COL to the shoulder. Casting with different alloys will change bullet measurement from base to tip of the nose. In the past I've experimented with seating lead bullets into the rifling, but have had problems with the chamber getting a lead ring build up at the case mouth portion of the chamber. As it built up the rounds seating fully into the chamber became a problem. Reliability became an issue. I was always curious why the chamber would lead like this but remain lead free with shorter OAL? When I refer to head space, I am quoting breech face to the end of the cartridge case dimension. Most folks have no clue what their chamber depth is..As Jon mentioned, seating the bullet at or into the leade is an invitation to problems and does not make the gun shoot better. I am an advocate for free bore at .0005/.001 + 0 over bullet diameter into a polished 1-1/2 degree leade. Almost any reasonable brass will shoot well at short line. Although for serious matches like Canton or Perry, I use once fired or new..
Nice that KKM's are really short chambered. Yes, I agree. At one time I tried to buy unchambered barrels..so I could single point the chamber on the bore axis, as we do with .22 blanks.. and have total control over its dimensions..No dice.. One thing I am sure of...Bullseye Precision is not a major market to them...I'll make my own in the future..